Our brand new excavator, the Bobcat E 63 with thumb! Heat and air conditioning combines for a roomy enclosed cab, fully-adjustable seat and joystick controls. Powerful engine for digging and thumb for picking up debris. Available with 24" or 36" bucket. 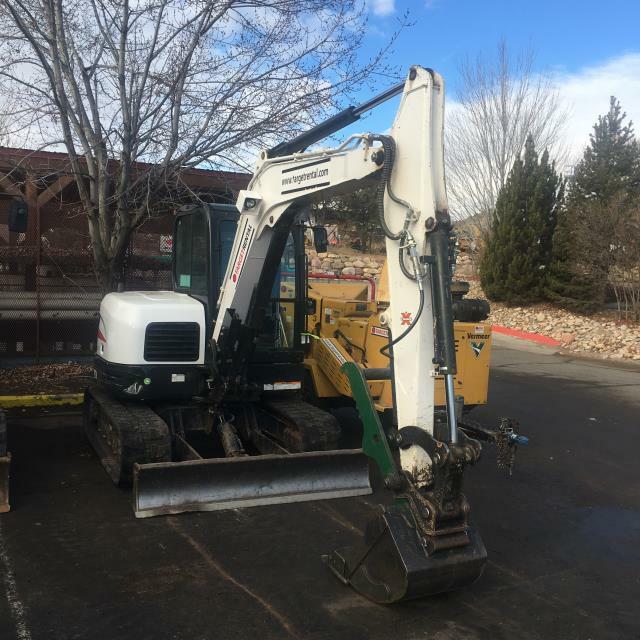 * Please call us for any questions on our excavator bobcat e 63 w/thumb rentals in Durango CO, LaPlata County, Mancos, Ignacio, Cortez, Bayfield, Pagosa Springs, and Silverton CO.